For the final project I would like to mainly experiment with the CNC router and the 3D printer by first designing the elements digitally on maya and illustrator. 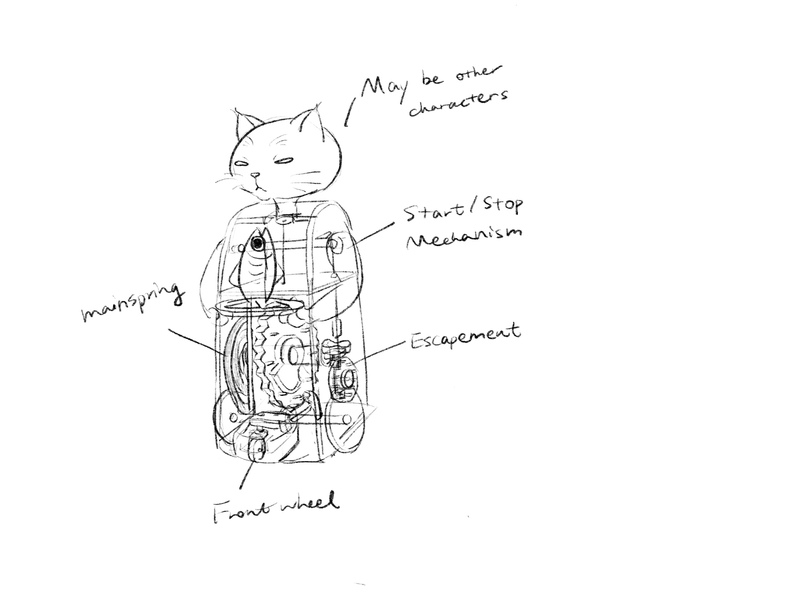 I choose making an automaton since it requires sophisticated mechanical parts that can be done by those machines. Plus I really want an automaton and would love to take this chance to study more about mechanisms. I might make slight adjustments to the original model since the parts will be constructed by the 3D printer and the CNC machine. I would also like to change the design of the character (originally as a Japanese boy servant) to make it fit in the modern context. I have not made up my mind yet, but it might be a secretary who is made to serve coffee in the company or a robot that carries stuff back and forth. For the last couple of days I have been researching on the mechanisms behind the piece since it seems very complicated. After looking through many DIY projects online and the reference photos, I have a better understanding what is going on in the piece. I will start modeling the automaton in maya and keep this post updated as I go. Materials: Wood, MDF, CNC machine, 3D printer, wood glue, mainspring, strings, fabric.